July 2, 2017 By Chelsea T.
Who doesn't love a good ghost story? Well, in Maryland, there's a whole lot of them! From hospitals and asylums, to cemeteries, schools, theaters, restaurants, parks, bridges, and even roads, there's an endless amount of places throughout the state that are said to have some ghostly spirits lingering. Some of these creepy spots are located in the biggest of cities that everyone knows about, and others in small towns that only locals may know of. Take a peek below to check out our Top 10 Haunted Places in the state of Maryland! 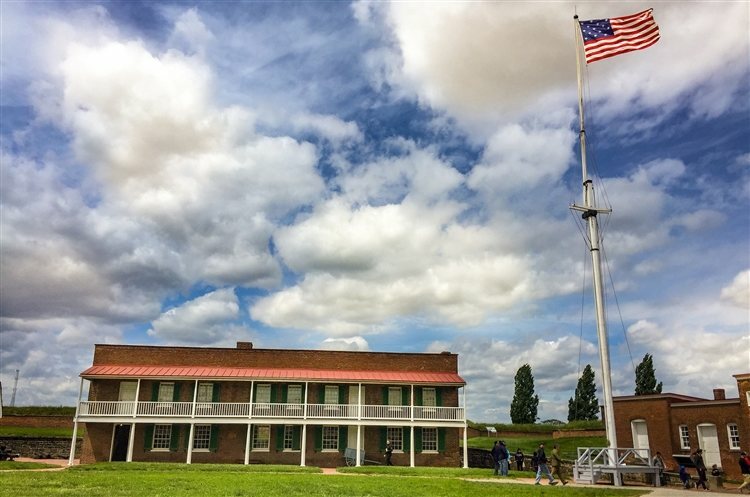 Fort McHenry in Baltimore is a historical American coastal star-shaped fort that is best known for its role in the War of 1812, when it defended Baltimore Harbor from attack by the British Navy from the Chesapeake Bay. The fort was first built in 1798 and was continuously used by U.S. armed forces through World War I and by the Coast Guard in World War II. In 1925, the fort was designated a national park and was re-designated as a National Monument and Historic Shrine in 1939. It's no surprise that the fort is said to be one of Maryland's most haunted spots, as its history included a lot of bloody deaths. Many witnesses have claimed to see the apparitions of soldiers in uniform. Located on Key Street in Hagerstown, the Johnathan Hager House Museum dates back to 1740 and was the home of Hagerstown's German immigrant founder. The home was added to the U.S. National Register of Historic Places in November of 1974 and was opened to the public as a historic house museum in 1962. Stories say that the home is haunted, possibly by two different families. One being The Hammonds, who lived in the home in the 1840s, and The Downins, who resided there during the Civil War-era. Haunting reports at the museum include voices, disembodied footsteps and lights that turn off by themselves. Some say the Downin children are to blame for a doll that moves around, and the reason why cameras tend to not work properly inside the home. The Jericho Covered Bridge in Kingsville is located near Jerusalem and dates back to 1865. 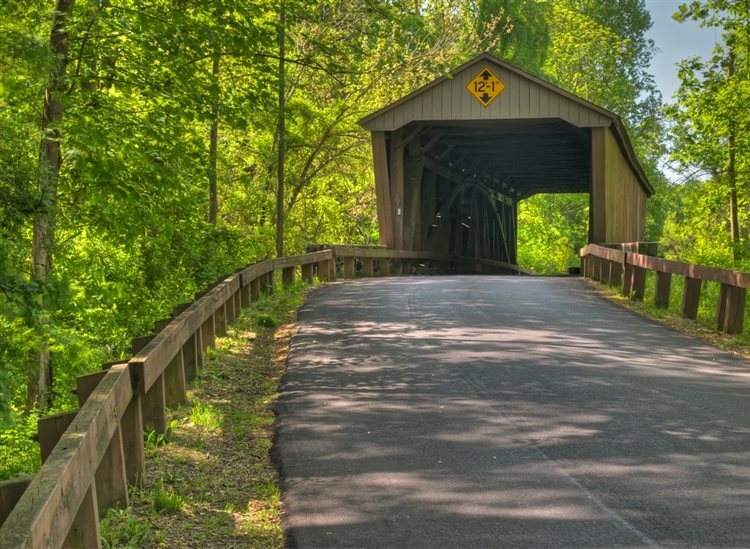 The Burr arch bridge was listed on the National Register of Historic Places in 1978 and is a popular hot spot for paranormal activity. The ghosts that are said to linger here are believed to be Civil War soldiers or slaves and witnesses have claimed to see their bodies hanging from the rafters when you enter the bridge. A ghostly woman has also been spotted walking along the bridge wearing old-fashioned clothing. 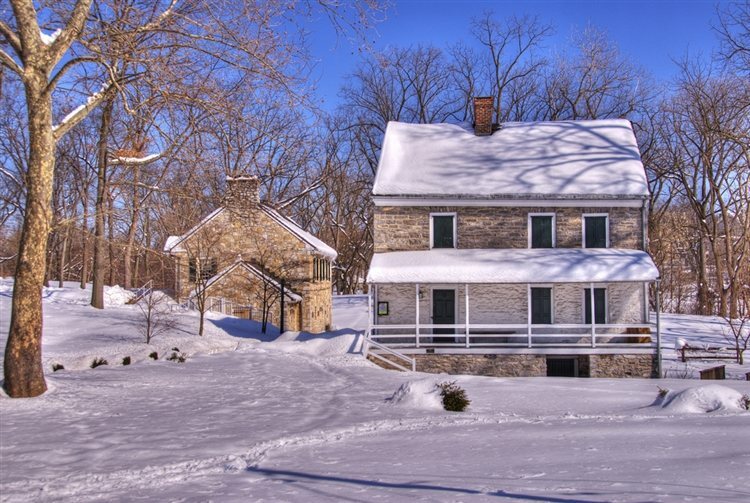 This historic battlefield is protected by the National Park Service and sits along Antietam Creek in Sharpsburg. 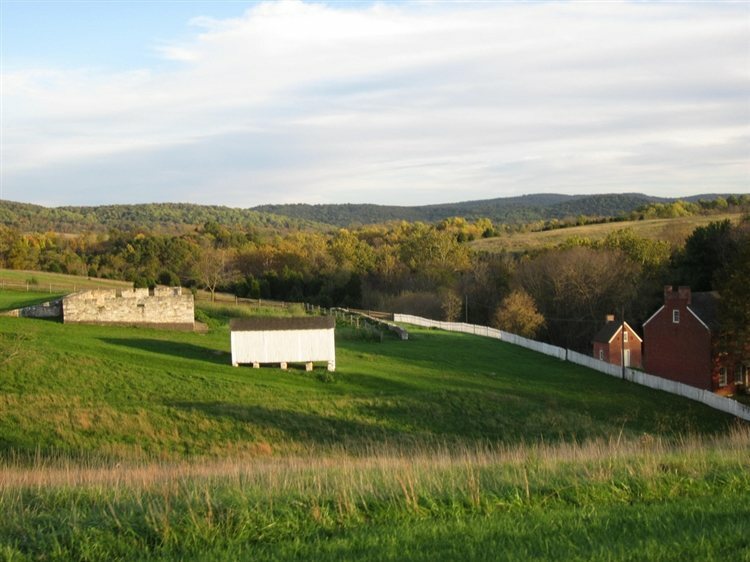 The battlefield commemorates the American Civil War Battle of Antietam that took place in September of 1862 and it was added to the National Register of Historic Places in 1966. More than 300,000 people visit the park each year, and many witnesses have claimed the area is haunted. Due to its history, ghostly soldiers are known to linger here in spirit and there have been reports of phantom gunfire and shouts, drum beats and war songs that have been heard playing. Some have even said they've seen a historic scene being acted out, assuming they were watching reenactors, until the soldiers vanished right before their eyes. The Maryland State House in Annapolis dates back to 1772 and is the oldest state capitol in continuous legislative use. 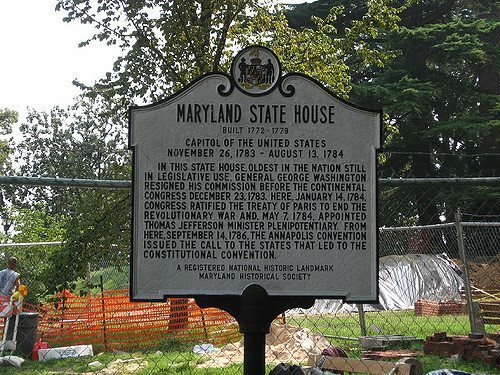 It houses the Maryland General Assembly and offices of the Governor and Lieutenant Governor and was added to the National Register of Historic Places in 1966. The two-story brick building was designed by Joseph Horatio Anderson, a noted architect of his time, and is believed to be full of ghostly spirits. Witnesses have claimed to see a Revolutionary soldier wandering around the grounds, as well as a man who hangs out on the dome, believed to be a worker who fell to his death. 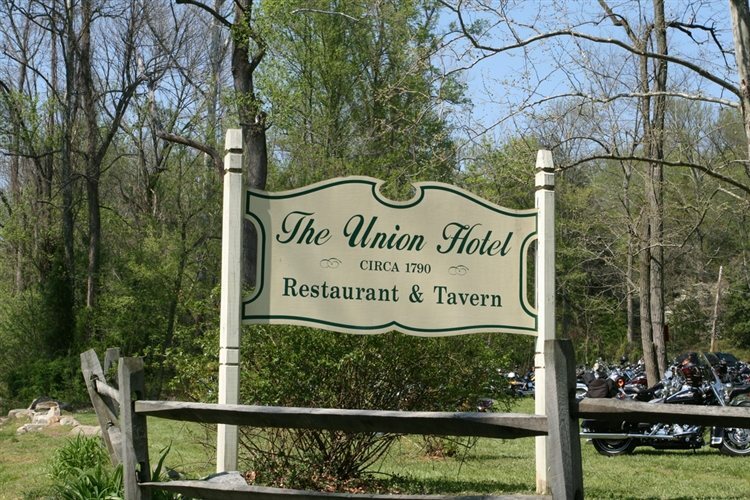 Port Deposit's Union Hotel Restaurant features waiters that dress in colonial attire to add to the atmosphere of the log cabin establishment. There have been a number of haunting reports at the restaurant, and Only In Your State wrote an article on the location, calling it the most haunted restaurant in Maryland. Reports include the sound of broken clocks chiming, disembodied footsteps throughout the building and apparitions. Some say the place is haunted because it was once a brothel that was a violent place, and stories of murder and suicide have floated around as well. 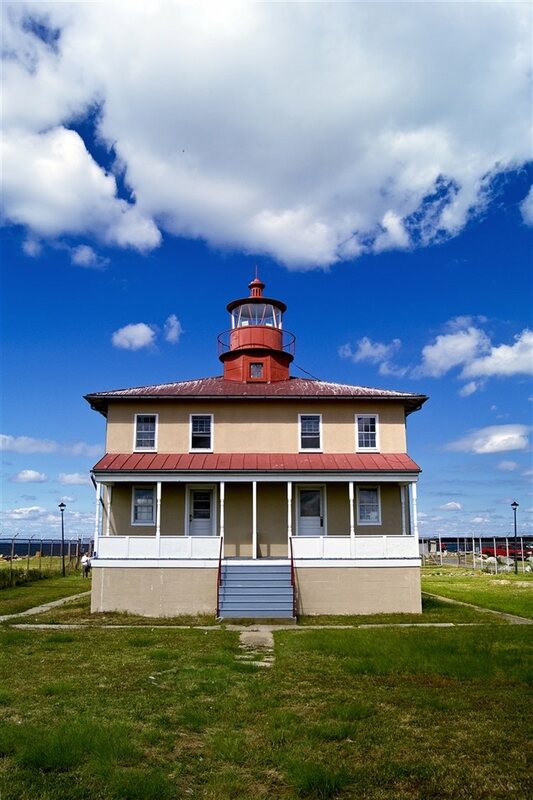 Point Lookout Lighthouse marks the entrance to the Potomac River at the southernmost tip of Maryland's western shore of the Chesapeake Bay. It first opened in September of 1830 and was deactivated in 1966. It has been known to be associated with paranormal activity and has been featured on a number of television shows due to its haunting claims. Many believe the hauntings stem from shipwrecks and bodies that have been found washed ashore. Some of the ghosts here include that of a Confederate soldier who runs across the road at dusk, an elderly woman who is search of her grave, and a lighthouse keeper that likes to sing at night. 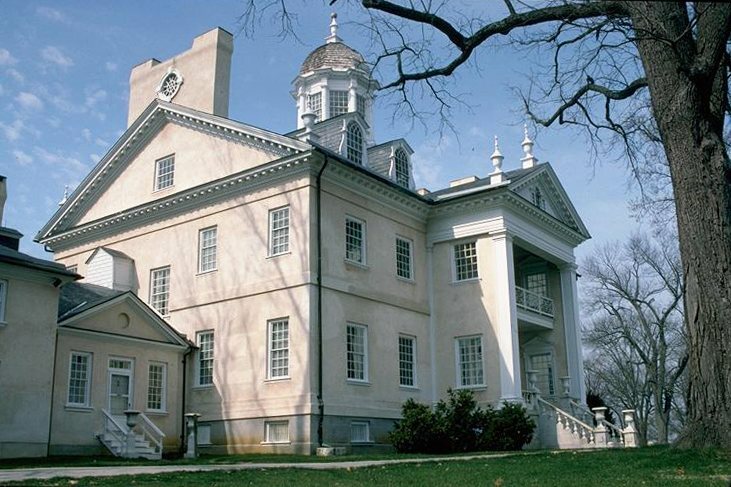 This mansion dates back to the 1700s and now operates as a museum. It was the largest private home in American when its construction was completed in 1790 and considered to be one of the finest examples of Georgian architecture in the U.S. The home was added to the National Register of Historic Places in 1966 and is said to be haunted by more than just one ghost. Priscilla Ridgely is one of the spirits believed to linger here, a member of the original owner's family. Her apparition has been seen throughout the home, along with the ghost of Cygney Swann, a resident of the home in the 1800s, and daughter of Governor Swann. Her spirit is also known to play the harpsichord in her room. Tom is another ghost of the Hampton Mansion, believed to be a former butler. Other spirits are said to reside here, but their identities are unknown. 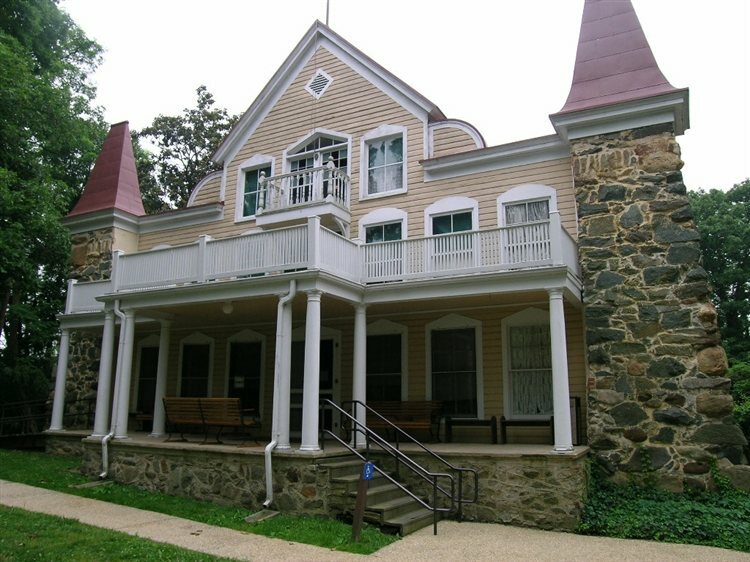 The Clara Barton House in Glen Echo is part of the Clara Barton National Historic Site, which was established in 1974 to interpret the life of the American pioneer, teacher, nurse, and humanitarian who was the founder of the American Red Cross. The 38-room home sits on nine acres of land was added to the National Register of Historic Places in October of 1966. Many believe that the hauntings that occur at the home are linked to Clara herself, and that she still lingers the home in spirit. This museum is located on Van Buren Lane in Cockeysville and was founded in 1959. Its goal was to help preserve and illustrate the history of Baltimore County for the benefit of present and future generations of Marylanders. 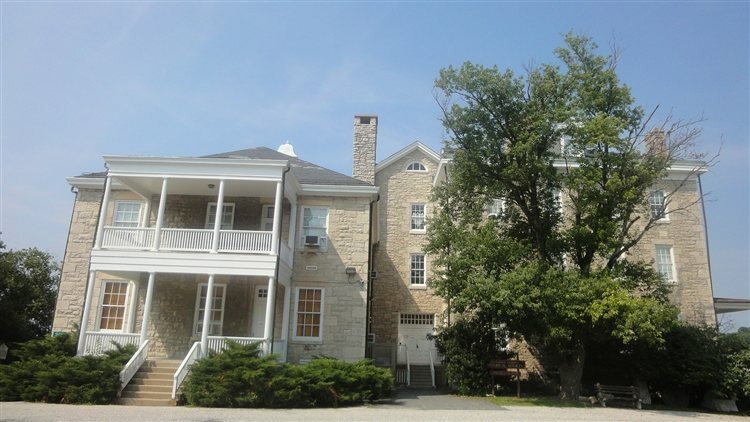 The Historical Society of Baltimore County operates out of the location, formerly known as the Baltimore County Almshouse. Stories say it once operated as a poor house where children would be placed temporarily when their parents couldn't properly care for them. Faces have been spotted in and around the house, voices of women have been heard on the third floor, as well as the sounds of children playing and throwing things around. Click here to read about more Haunted Places in Maryland!